The best betting systems are often based on contrarian logic or, at least, on opposing 'conventional wisdom'. Wikipedia describes it thus:Â Conventional wisdomÂ (CW) is a term used to describe ideas or explanations that are generally accepted as true by the public or by experts in a field. Such ideas or explanations, though widely held, are unexamined. In simple terms, good betting systems tend to pick up on illogical biases: misconceptions of the impact of a certain element or behaviour on the chance of a horse. So it was that whilst watching the racing on Saturday afternoon I was struck with an idea. After my small interest 'action' bet on Cappa Bleu came off at 16/1, as he saw off Tamarinbleu on the run-in by a diminishing head, I noted that the pair of them had been off the track for a long time. Specifically, Cappa Bleu was returning after exactly twenty months, having had his last start when pulling up in the 2010 Albert Bartlett at the Cheltenham Festival; and, Tamarinbleu was returning for a first run since the 2010 bet365 (formerly 'Whitbread') Chase at Sandown last April. And I got to thinking that maybe there's a market bias around horses returning off a long layoff. It is often said that it takes 'a great training performance' to get a horse back after a break to win. Whilst, to some degree, that will be true, the market can underestimate the likelihood of a winning return. Or so I thought. So rather than be deliberately contrarian, or simply forget it and align with the conventional wisdom, I decided to run a few scenarios through a system analysis tool. And the findings were interesting. I set the 'long layoff' parameter as 500 days, and I focused only on horses running in UK National Hunt races with a chance, which I defined by their being priced at 16/1 or shorter. The first thing I did was look at the performance of hurdlers and chasers respectively. I found that chasers won at a 17% clip and were highly profitable to follow under such conditions. By contrast, hurdlers only won 9% of such races and leaked cash if followed. So I honed in on chasers, and looked at how a distinction between handicap and non-handicap chases fared. This time, the strike rates were reasonably similar, with non-handicap chase returners winning 16% of their starts, and handicappers 19% of theirs. But there was a significant difference in the profitability of the two groups. Specifically, 55 from 344 non-handicap qualifiers won and in so doing recorded a small level stakes profit of 24.21 points (about 7% ROI). Handicap chasers on the other hand won 51 of 262 races in the same time frame (from the start of 2008) and showed a whopping 131.28 points profit. That's an eye-watering 50% return on investment! But I'm greedy and I didn't want to stop there... so I looked at whether distance, ground or class were factors. Class was immaterial, although none of the seven Class 1 runners managed to win. That's too small a sample to be material so I'm happy to leave class out of the equation. I was surprised that going had little bearing on performance, as I had perceived that those running on stamina-sapping heavy or soft ground would be found out for fitness. I was wrong. They do win at a slightly lower percentage, but still show a profit at industry SP. This is presumably because the market in general shares my (incorrect) presumption that bottomless going will inconvenience long layoff horses, and therefore sends them off at bigger prices than they ought to be, which in itself is interesting. However, distance did have a bearing on performance, with those runners racing at up to and including three miles significantly outpointing their longer distance racing buddies. So I added in a criterion around race distance, and capped it at three miles. So, thank you Cappa Bleu for the win on Saturday. And, more importantly, for highlighting this very interesting angle. Now then, I've never done this before so forgive this slight deviation from the norm. But for a few weeks now, I've had a visitor staying. To be honest, it's quite uncomfortable having him around. Irritating even.He's always in my face. Or, more precisely, on my face. Yes, I've been growing (or trying to grow) facial hair in the name of the wonderfully conceived 'Movember'. Now, at this point, I wish I'd be able to show you some hugely impressive 'El Gringo' face furniture, but alas life dealt me the wonderful card of not having to shave too often, even now I'm into my fifth decade! So it's been a bit of a struggle to achieve the requisite fluff, and I ask you to sympathise with my mediocre mo-age. It's the best I can do... At least there's another nine days to go, so I might make it to partial Freddie Mercury status by then...! In any case, if you'd like to see just how ridiculous I look (no disrespect to moustache wearers - they suit a lot of people very well. Just not me), then click the link below. If you'd like to contribute a penny or two to a very worthy cause and in some small way legitimize my month of looking even more like an idiot than normal, then that would be hugely appreciated by future cancer sufferers. [Sorry, but that is the grim reality here, despite the fun angle]. Here's Matt's Moderate Mo, and a place to donate to a very worthy cause. Thanks a million in advance to any reader(s) who support this. 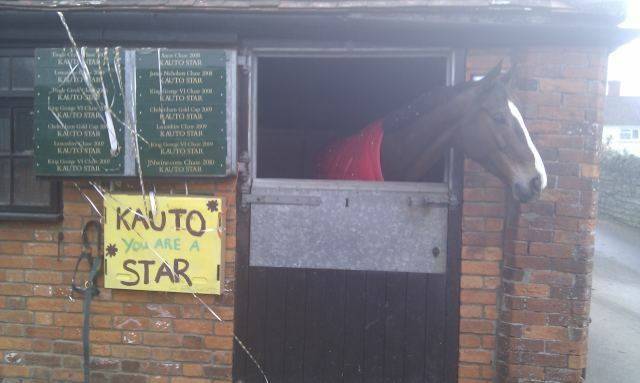 Finally, congratulations to connections of the simply magnificent Kauto Star, who de-mo-lished (geddit?!) a very classy field in the Betfair Chase on Saturday. It was a serious throwback to his glory days and, whilst I'd have difficulty envisaging Long Run jumping so poorly next time in the King George and therefore Kauto beating him there (or anywhere else), this was a remarkable performance in its own right. It was his fourth Betfair Chase, which can be added to his already glistening and illustrious roll of wins. As well as those four, he also has a quartet of King George wins, two Gold Cup wins (plus a second and a third), and two Tingle Creeks. In total, he's bagged Â£2,272,891 in prize money, which is also astonishing. If that doesn't warm the old cockles on a cold Monday morning, I don't know what will. Actually, how about a Champion Hurdle preview? 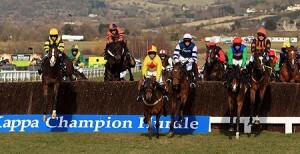 I'll be looking forward to the first of the Cheltenham Festival 'big ones' tomorrow. If you're a beginner, check out the Horse Racing Information pages, for information on horse racing betting, latest results, a glossary of horse racing terms, and some very special betting offers. 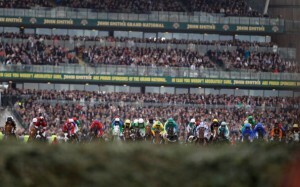 If you already know your horse racing, you will find the information in the race courses section instructive. No matter what level your understanding of horse racing is, you'll find something of interest in the horse racing systems section. There's betting systems, laying systems, other sports systems, and the occasional trading system. Start with your free horse racing system by signing up today. And be sure to read the regularly updated blog, where you'll find commentary on big race meetings, reviews of horse racing systems, and much more relevant - and sometimes irreverant - info.